Every year, our neighborhood puts on a block party. There's always lots of side dishes and someone is drafted to grill burgers, brats, & hot dogs. This year, I decided to take something a little different to the party. I pondered my patience for putting together dozens of ABT's, stuffing a half dozen fatties, or grilling a hundred chicken wings. 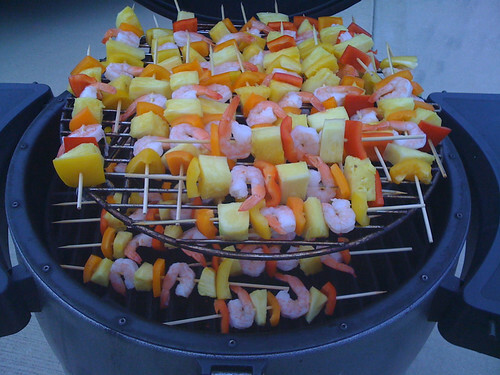 In the end, I decided pineapple shrimp kabobs would be super easy, colorful, and significantly different from the appetizers that I typically churn out on one of the Kamado style cookers that I use. Cut red, orange, and yellow bell peppers into pieces ~1" sq. I applied a warm mango salsa that I picked up at Sam's Club. Tip: Soak the bamboo skewers in water for at least 30 mins. 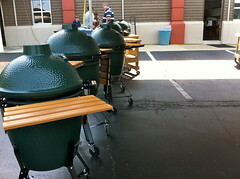 prior to assembling. Otherwise, they can burn in half over a hot fire. 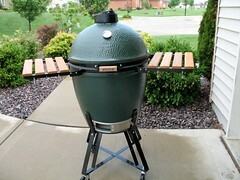 I've written before about the Kamado style cooker. Well recently I found this post over at the Pickled Pig and thought it was worth sharing. 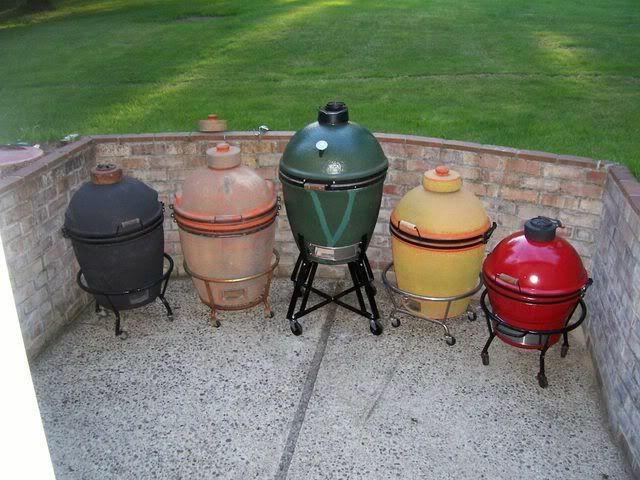 It just demonstrates that there's lots of different implementations of the Kamado clay/ceramic cooker.